Dr. Smoothie Café Essentials Chai Tea is flavorful, rich and has a creamy mouth feel that sets this beverage apart from any other. Make with water only and you will think you are consuming a milk and cream based product. 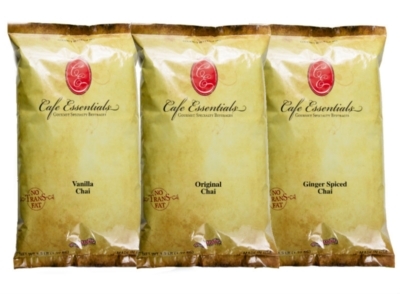 We carry Dr. Smoothie Café Essentials Chai Tea in 3.5 lb. bulk bags in ginger spiced, vanilla and original flavors.